I’m a classic chic woman when it comes to pretty much everything I wear, from clothing to accessories. So when I saw the Rose Pink Autumn/Winter collection from Catherine Best I felt like it was made for me. Yes, sometimes I like to flaunt a chunky bracelet or a multi strand necklace, but most of the times I prefer that subtle precious and delicate piece of jewellery. Something that can go with anything from daywear to evening dresses. A piece that you notice but feel intrigued to take a closer look at. So this winter, Catherine Best have chosen to create some beautiful pieces in Dusk, Blush and Rose shades, all of which are designed with a passion and amazing craftsmanship. 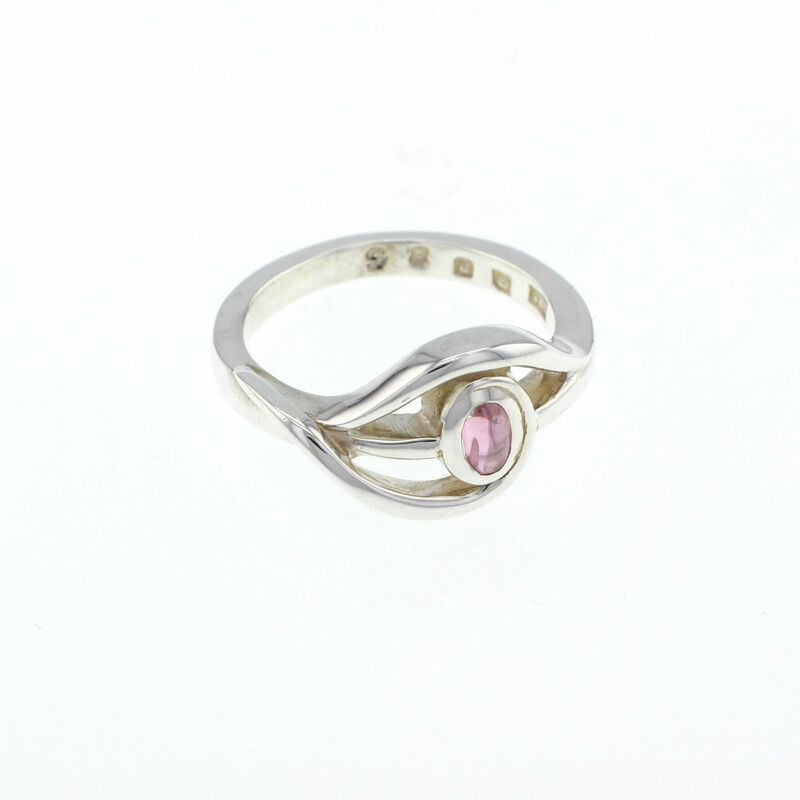 The first piece I would like to tell you about is The Good Eye ring. 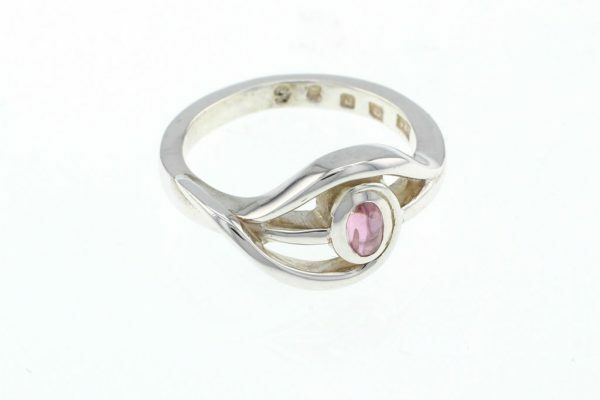 It’s an oval cut ring with a cubic zirconia stone set in 925 sterling silver. It has a lovely design with an elegant flow to it. I really like this unique shape and, most of all, it’s easy to wear. More into earrings? 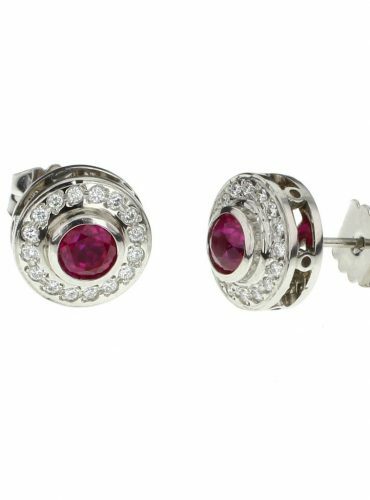 Have a look at the Wishing Well stud earrings, with a design that that looks fabulous from every angle. 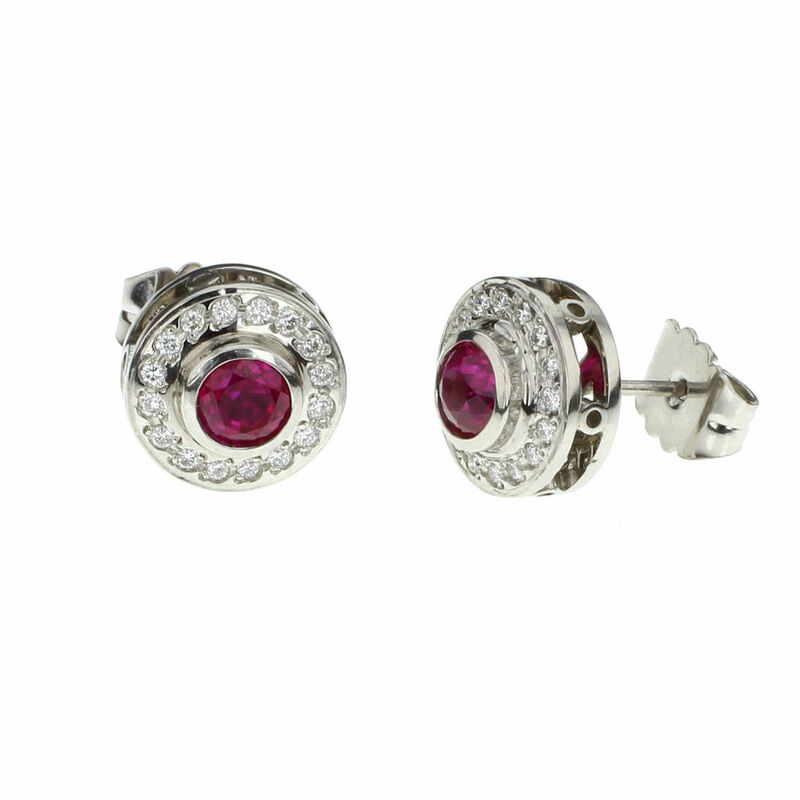 Each earring has a beautiful gem in the middle surrounded by 0.2ct diamonds. But the best thing about these earrings is that you can make them more your own and choose from either a 0.6ct emerald, a 1.3ct ruby, a 1.4ct blue sapphire or a olive green peridot – such an amazing color! To top it off, as a personal choice you can choose either platinum or 18ct Gold. So now you’ll need a necklace to top off this look. 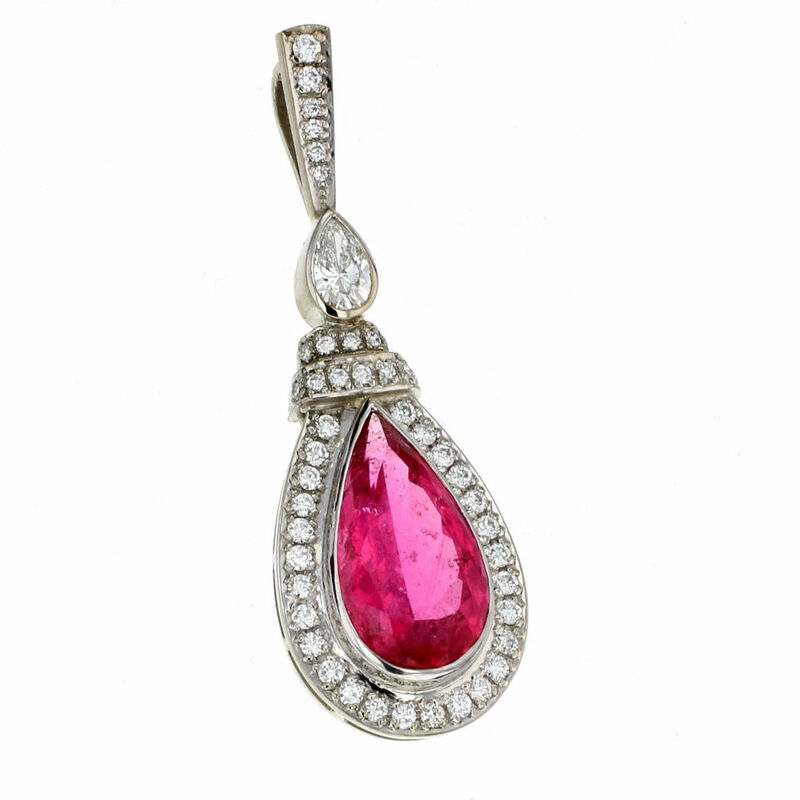 If you prefer classic chic, like me, then the Rose Bud pendant is for you, with its timeless teardrop shape and a lovely 5.4ct Pink Tourmaline with a 0.3ct pear cut diamond above it. this is all surrounded by 0.52ct diamonds and set in 18ct gold. Just an amazing piece, easily matched with the Wishing Well earrings. But one piece that really caught my eye was the Fine Balance, a platinum based pendant. I love the shape and the colors matched together. It feels like a very special piece. 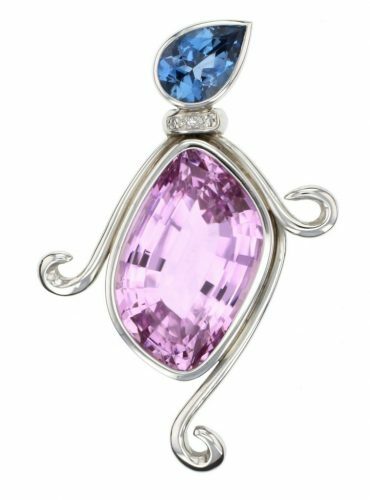 It’s an amazing deep pink 24.9ct kunzite stone topped with a pear cut 1.8ct aquamarine, set above a sparkling section of 0.012cts diamonds. Catherine Best is a two generation family business run by Catherine Best herself, a fellow of the Institute of Goldsmiths since 2012, and her daughter Vicky Freeman. 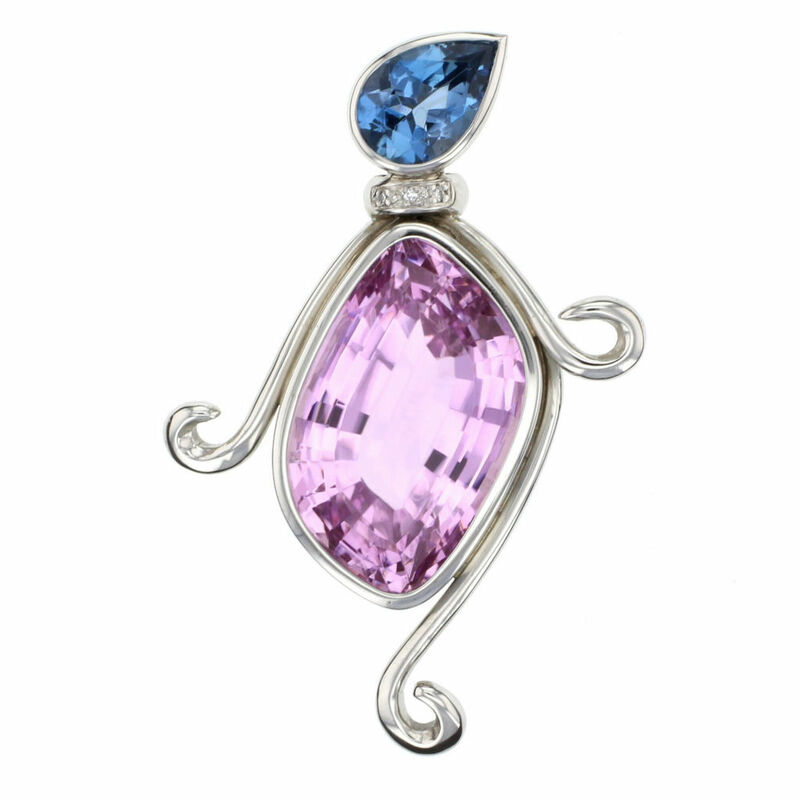 The pieces are all designed using only the best materials and very carefully chosen precious stones. Something that I really liked about Catherine Best is that her studio, workplace and home is located on Guernsey, a beautiful part of the Channel Islands, somewhere I’ve visited a few times and found completely idyllic. You can also find a second shop and workroom on the neighboring island of Jersey. Catherine’s passion for design came from a very young age, inspired by her father, and from there she has grown and created this wonderful jewellery brand. Catherine works closely with different charities such as the Born Free foundation and Les Bourgs Hospice in Guernsey. She is also an ambassador for the Teenage Cancer Trust. You can find her pieces on the Goldsmiths Fair and Goldsmiths Pavilion, a place where you can only find the most talented jewelers. You might have seen her creations on a celebrity on a red carpet as well. Want even more? Then have a look at her website and get inspired.